Adjunct Faculty of the School are those individuals who are recognised as being experts in their chosen field and who also have the ability to communicate their knowledge and experience to a wider audience. They are people who want to give something back to New Zealand through a sharing of their experience based on their many decades of work within exporting. The role of an Adjunct Faculty member within the School, is one that allows us to draw on the wisdom of leading figures in New Zealand in order to improve what we teach based on real-life and the practical aspects of what actually happens in exporting. Adjunct Faculty can also be approached - via the School - to give specialist advice (on a paid or unpaid basis), run workshops, act as guest speakers, sit on Boards or to undertake other activities as they see fit. Bob is a very experienced exporter with over thirty years international business involvement. Former CEO of Export New Zealand, Bob also worked as General Manager for Feltex Carpets, and International General Manager of Building Products for Alex Harvey Industries, now part of Carter Holt Harvey and Fletcher Building. During his time in the building industry, Bob's work took him to Australia, US, Canada, Europe (UK, France, Benelux, Scandinavia), the Middle East (Gulf States, Iran and Saudi Arabia). Bob also has extensive experience in the food industry, as Corporate Brands Manager and later Regional Development Manager, European Region for the NZ Dairy Board, travelling extensively throughout Europe, North Africa, South East Asia and Australia. Bob makes a significant contribution to the Diploma of International Trade, in particular the International Marketing, Market Entry Strategies and International Trade Management modules. Murray has over 40 years experience with Air New Zealand, including several years as Manager of Commercial Operations with the International Cargo division and from 2001 - 2008, Manager of International Cargo Sales and Marketing. Murray has travelled extensively to South East Asia, North Asia, China, Japan, Germany, USA, Australia and the Pacific Islands. His particular expertise in International Cargo Sales and Operations is invaluable. Murray Gregg is an experienced airline executive specialising in international cargo sales and operations with over 42 years experience with Air New Zealand. For the last 18 months he helped introduce Qatar Airways Cargo’s new flights to Australia. He is now the new general manager Asia Pacific for Lufthansa Cargo Charter and will be based in Hong Kong. Reinhold was born and educated in Austria before embarking on a global career with Multinational Transportation and Supply Chain service providers. In over 30 years this fast moving industry has given him a unique opportunity to work with thousands of companies across all industries and to learn about the many different styles of being involved in international trade. Having been stationed in Europe, USA, Kenya, New Zealand, Malaysia & Singapore has given him a solid understanding of different cultures, people and ways of doing business. Reinhold has a particular interest in global trade and supply chain management. Ian's career has been in the area of economic development, public sector reform and the interface between the public policy and private sector initiatives. He has specialist skills in strategic planning, economic development and change management. Ian was previously Chief Executive Officer for Vision Manawatu, the economic development agency for the Manawatu, where he led major initiatives in the area of design-led manufacturing, effective distribution, commercialisation and education marketing. Prior to joining Vision Manawatu, Ian worked in the corporate finance teams of several major accounting firms and was involved in the commercialisation of several Government business activities. Ian currently consults to a range of local authorities and government agencies in the areas of economic development, urban design and policy reform. Ian has a Bachelor of Arts in economics and international relations, a Diploma of Business Studies, a postgraduate Diploma in Business Administration and a Master of Philosophy in strategic studies. Born in Scotland, David is the former New Zealand Managing Director of American International Assurance (AIA) and has extensive knowledge of the global financial system with networks in the industry including capital markets and Foreign Direct Investment. He is currently involved in a business acquisition, and has lived and worked in several countries. He has a particular interest in trade with SE Asia and the US. David is currently living in Australia. He has an MA(Hons), MMgt and DipBusAdmin. Eustie is the former Manager of the Project Management Team for Innovation at Fonterra, and was previously at ANZ Bank where he was Manager for eTransformation. He has also worked for both Sea-Land Service out of its Rotterdam office and the Shipping Corporation of India in Bombay (Mumbai), which has allowed him to gain first-hand experience of global shipping and logistics. He is a Chartered Member of the Institute of Transport & Logistics. Born in India, Eustie speaks Hindi, Kannada, Marathi and Dutch. He has lived and worked in over 33 countries most notably India, UAE, and The Netherlands. He has a particular interest in trade with the Indian Sub-Continent. Dr Rasem Kayed is a specialist in the financing of exporting in small businesses. He has over 20 years experience both in the commercial and the academic world and has worked in New Zealand and Saudi Arabia. His PhD was on the Islamic entrepreneurship in Saudi Arabia. Within the School he contributes particular expertise in International Trade Finance, as well as his insights into trading with Middle Eastern countries. He has published several papers based on his research of companies and individuals including: Kayed, R. (2007) Islamic Financing and the Saudi Entrepreneur; and Kayed, R. (2009) Global Financial Crisis and the Islamic Theory of Finance. Dr Kayed is currently an Associate Professor in the Faculty of Administrative and Financial Services at the Arab American University at Jenin, Palestine. Born and raised in Shanghai, China, Dehua (Dean) Pan has recently become the first CITP (Certified International Trade Professional) in New Zealand. Dean is fluent in Shanghainese and Mandarin. He arrived in New Zealand in 2002 in pursuit of a career in international trade. After graduating from Victoria University of Wellington with a BCA in Marketing, he joined ANZCO Group Limited - one of the country’s top four food exporters – in the role of Regional Sales & Marketing Manager for Taiwan, China, Hong Kong and Singapore. After three years of frontline experience in the beef export business between New Zealand and North Asia, Dean moved to a new role as a Business Development Manager China with Mathias NZ Ltd. – one of the leading food trading companies in New Zealand. He is now focusing on facilitating the food trade between China and New Zealand, Australia and South America, and is the Managing Director of New Zealand China Trade Consulting Ltd.
Dean has successfully completed an MBA programme with Warwick Business School in the UK through distance learning, and is completing the CPD programme with Chartered Institute of Marketing for Chartered Marketer status. Dean successfully completed his Diploma of International Trade at the New Zealand School of Export receiving the highest overall marks in his year. Pierre’s expertise lies in international logistics from suppliers to customers and in supply chain management, particularly in sourcing, procurement and the coordination and collaboration with channel partners. His current work sees him at the heart of Fonterra’s European operations. Pierre is an alumni of the New Zealand School of Export and was the first recipient of the School’s ‘Dr Robin W. N. Smith Scholarship’ which he honoured by gaining the 2009 Highest Achievement Award for the exporter who graduated with the highest overall mark. 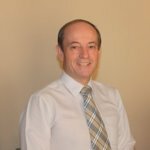 Martin has 35 years of work experience, spread between the financial services sector and several legal fields including in-house counsel, legal adviser, solicitor and magistrate. He has spent the past 17 years in trade credit insurance. He is well travelled (36 countries) and worked in several places namely China, Singapore, New Zealand, Australia, Zimbabwe and South Africa. Martin is employed by Atradius Credit Insurance NV and since April 2009 has been the Country Manager and Principal Officer for Atradius Singapore. His previous Atradius positions include Country Manager, China (July 2006 to April 2009); Country Manager, New Zealand (Sept 2003 to June 2006) and Risk Underwriting Manager, New Zealand (Nov 2001 to Aug 2003). a) The United Nations, for whom he wrote ‘A Practical Guide on Export Credit Insurance and Guarantee Schemes in Developing and Transition Countries’ (UNCTAD – Geneva 1997). c) Canadian Aid in Zimbabwe for whom he provided legal advice, pro-forma contracts and credit risk supervision assistance in its Agri-Inputs Project (1997-1999). Martin holds various tertiary qualifications in commerce, management, projects and law including a Post Graduate Diploma in Chinese Commercial Law, and the Diploma of International Trade (NZSOE). He is also admitted as a Barrister & Solicitor in New Zealand . Martin is currently a member of the Singapore Business Federation, New Zealand Chamber of Commerce, Singapore, Kiwi Expatriates Association, and The Wellington Club, New Zealand.